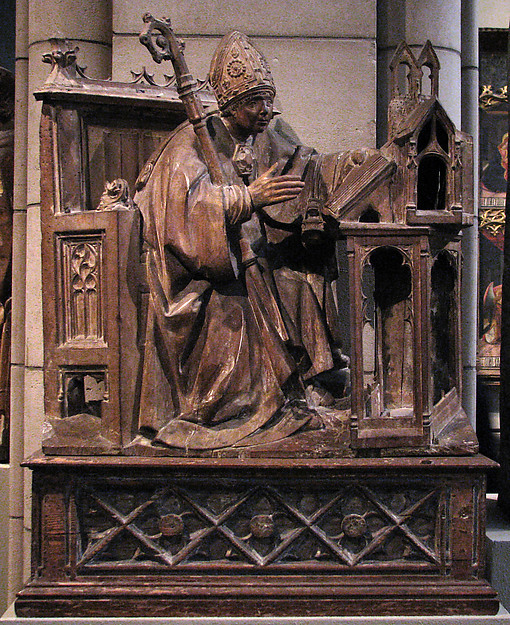 St Ambrose in his study, Spanish, c 1500. Image: Metropolitan Museum of Art. Silent reading was not invented in the Middle Ages. Evidence exists to suggest that at least limited forms of silent reading existed in Greece in the 5th century BC and throughout the classical period, although Greek texts at the time were written in scriptio continua. Latin texts in classical and late Antiquity, also written in scriptio continua, could be read silently as well. The oft-cited example in Augustine’s Confessions (c AD 400), describing Augustine’s astonishment that Ambrose was reading silently, should not be interpreted, Gavrilov and Carruthers have noted, as recording the amazement of an oral reader encountering silent reading for the first time, but as Augustine’s apology for the apparent rudeness of a man who was reading silently in the company of others. Just as it is not considered good etiquette today to be engrossed in texting absent friends while people who are physically present are trying to talk to you, Ambrose’s habit of being silently absorbed in a book while others were present could have been perceived as antisocial, so Augustine pleads, ‘quolibet tamen animo id ageret, bono utique ille vir agebat’: ‘whatever his reason in doing so, this man must have had a good one’. Parkes (1997) observes that the Rule of St Benedict and Isidore of Seville (both 6th century) recommended silent reading: to avoid disturbing others, in the Benedictine Rule; and because it is better for comprehension, according to Isidore. All these examples predate the use of word separation in the medieval West. There are writing systems today that do not employ word separation: for example, Thai, which uses a syllabic alphabet (abugida). The lack of spaces between words in Thai writing does not make it impossible, or even difficult, to read silently. Saenger assumes that Chinese writing is a simple logographic script in which there are spaces between words because each character represents a word, and credits this circumstance with a greater facility in silent reading among Chinese children and adults; but this view is based on a drastic oversimplification of the way Chinese writing works (more accurate descriptions of Chinese script describe it as semanto-phonetic or logosyllabic) and obscures the fact that Chinese is also written in scriptio continua. There is thus no necessary connection between word-separated script and silent reading, any more than there is between scriptio continua and reading aloud. Putting spaces between words is not a precondition for silent reading, since silent reading of scriptio continua was practiced in the past, as it is today. Word separation by space does seem to increase efficiency in reading (Rayner and Pollatsek 2013), but whether that reading is oral or silent is a separate issue. If there was, therefore, no simple cause-and-effect relationship between word separation and silent reading in the early Middle Ages, questions still remain. What did word separation accomplish? And where did practices of silent reading come from? Answers to the second question are bound to be complicated, and to some extent lie outside the scope of this project. But we might be able to say a bit more about the history of medieval word separation, especially in early medieval England, which, after all, was one of the places where it developed in a form that continues to the present day. And even if we must reject word separation as a necessary condition for silent reading, might it still be legitimate to argue that it helped to disseminate the practice of silent reading more widely in the Middle Ages? I am not so sure of that, either, but at least Saenger deserves credit for getting us to look more closely not only at the words in a written text but also at the spaces between them. In a future blog post, perhaps, I’ll comment on recent research into eye movement and word processing in the context of reading, and what its implications might be for understanding how medieval texts were read. Saenger, Paul. Space Between Words: The Origins of Silent Reading. Stanford: Stanford UP, 1997. Gavrilov, A. K. ‘Techniques of Reading in Classical Antiquity.’ Classical Quarterly 47 (1997): 56-73. Svenbro, Jesper. ‘Archaic and Classical Greece: The Invention of Silent Reading.’ A History of Reading in the West. Ed. Guglielmo Cavallo and Roger Chartier. Trans. Lydia G. Cochrane. Amherst: U of Massachusetts P, 1999. 37-63. Carruthers, Mary. The Book of Memory: A Study of Memory in Medieval Culture. 2nd ed. Cambridge: Cambridge UP, 2008. See pp. 212-216. Johnson, William A. Readers and Reading Culture in the High Roman Empire: A Study of Elite Communities. Oxford: Oxford UP, 2010. See especially pp. 3-9, which provide an overview of scholarly debates about the question ‘did the ancients read silently or aloud?’. The consensus among classicists today, Johnson notes, is that they did both. Parkes, M. B. 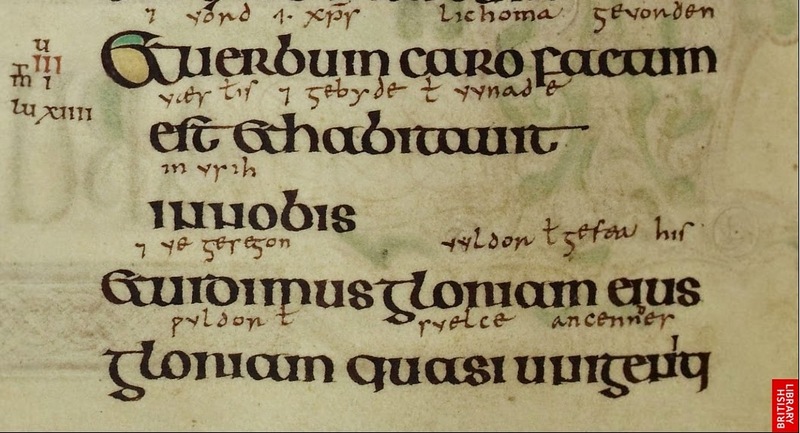 ‘Rædan, Areccan, Smeagan: How the Anglo-Saxons Read.’ Anglo-Saxon England 26 (1997): 1-22, at 9-10. Rayner, Keith, and Alexander Pollatsek. ‘Basic Processes in Reading.’ The Oxford Handbook of Cognitive Psychology. Ed. Daniel Reisberg. Oxford: Oxford UP, 2013. 442-461.